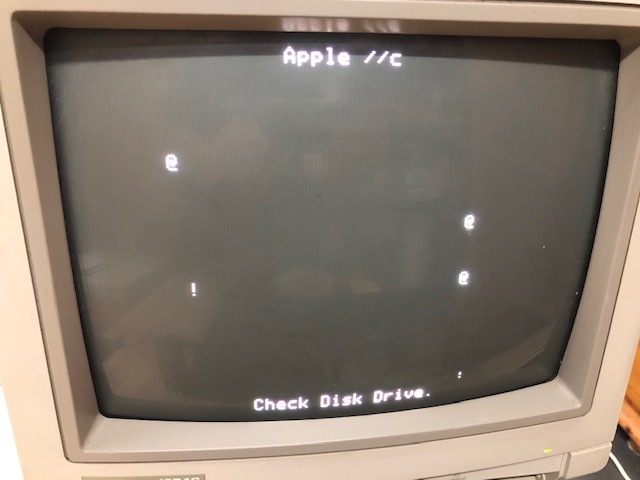 maybe someone can help me to identify the problem of my Apple IIc. 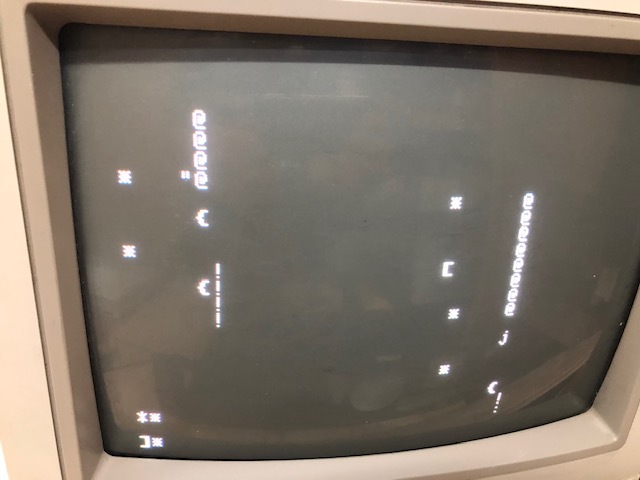 When I start the computer he try to access the Floppy but he will not boot from it => Message "check disk"
Also random characters are appearing on the screen. 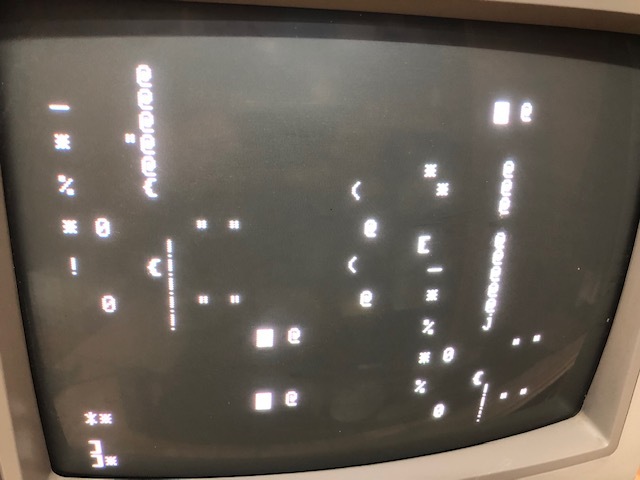 Sometimes after start it shows a prompt, and many random charaters appearing on the screen. I attached also some screenshots to this message to show you the problem in a more visual way. You might have to crack the case open and take a look inside. Check that the socketed chips are seated well. Might be a good idea to re-seat them. Beyond that, you might be looking for bad RAM or other chips, RAM being a likely candidate. Not much info here, but it's a start. Good luck!